For the first time, Boston is poised to set defined fees for the rental of City Hall Plaza, with the money going directly to city coffers. The move comes after the Globe reported earlier this year that for ­decades, advertising firms, film crews, vendors, and other commercial entities made donations for use of the red-brick plaza to a nonprofit controlled by the mayor’s office. Until now, fees have been negotiated on an individual basis and varied from event to event. The Fund for Boston Neighborhoods collected $160,000 in 2011 for use of City Hall Plaza, representatives from Mayor Thomas M. Menino’s admin­istration testified Monday in a hearing before the City Council. But as a nonprofit, the fund is not subject to the same open record laws as a government agency. In the Globe ­report published in March, Menino vowed to change the way rental fees are collected for the plaza. At least one fiscal watchdog ­described the proposal as a step in the right direction. While vowing to overhaul the nonprofit, the mayor defended the Fund for Boston Neighborhoods and said donations do not influence decisions made by his administration. Under the new rental fee system proposed by the Menino administration, events or promotions lasting two days or less would be charged the same amount: a $25 application fee and a rate of $200 per hour with a minimum of four hours. The fee, which does not include costs for cleanup or security, is designed to pay for wear-and-tear on the plaza. The money would be deposited into the city’s general fund. “This will give us [set rates] so every­one is charged the same amount,” said Christopher Cook, the city’s director of arts, tourism, and special events, which handles rental of the plaza. Longer-term events, such as a monthlong circus, would be charged under a different system. The real estate firm ­Colliers International will ­appraise City Hall Plaza to ­determine its commercial value for use as an event space. City officials would use that appraisal to create a public bidding process for commercial groups to use the plaza. Samuel R. Tyler, president of the Boston Municipal Research Bureau, said that all rental fees should be deposited in the city’s general fund like other revenue. 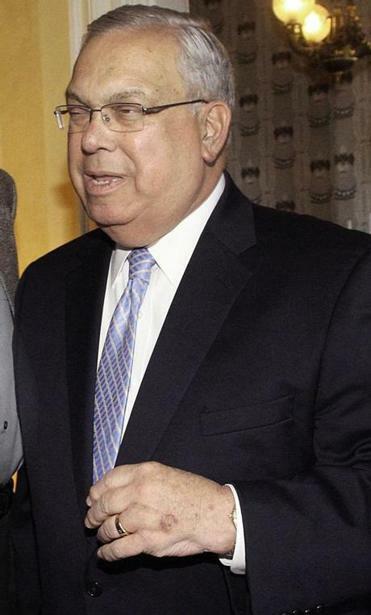 Cook and other Menino admin­istration officials said that the revolving fund would be open to full public scrutiny. Councilor Matthew O’Malley, who held a hearing Monday to discuss the City Hall Plaza proposal, said he would urge his colleagues to approve the measure, as early as Wednesday. An executive with a video production company said the $200-per-hour fee for use of the plaza seems roughly on par with what film crews pay elsewhere, given that renting a studio costs about $1,000 a day. But Shawn Whitaker, vice president of operations for ­DigiNovations, an Acton production firm, said rates can vary. “A lot of times, when we negotiate location fees, it’s all over the place,” he said. Big Apple Circus has been bringing its big top to Boston for 25 years, and it had donated a percentage of ticket sales to the Fund for Boston Neighborhoods in lieu of rent when it used the plaza. In recent years, those payments have amounted to roughly $8,000 for a five-week run of performances. Andrew Ryan can be reached at acryan@globe.